Nicely done. How does your final stairs look like? 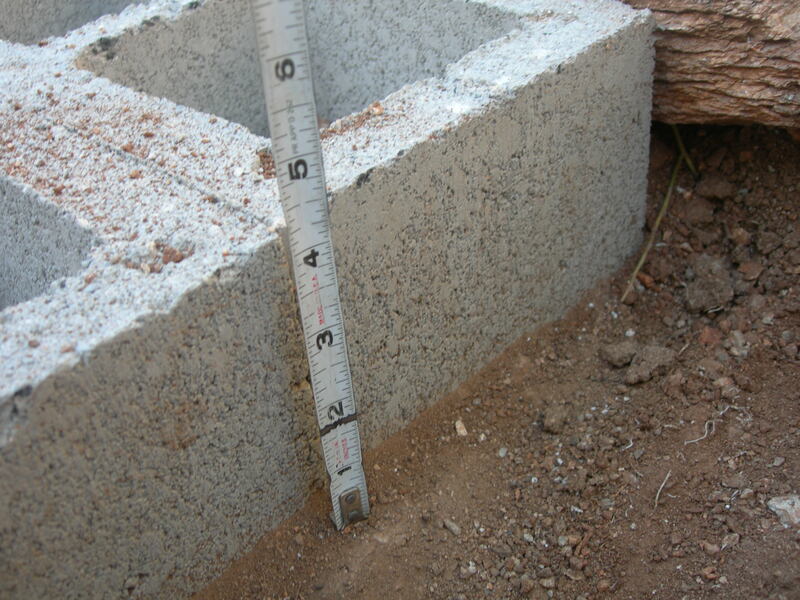 Did you put concrete on top of the cinder block? Hi Ron, thanks for the comment. 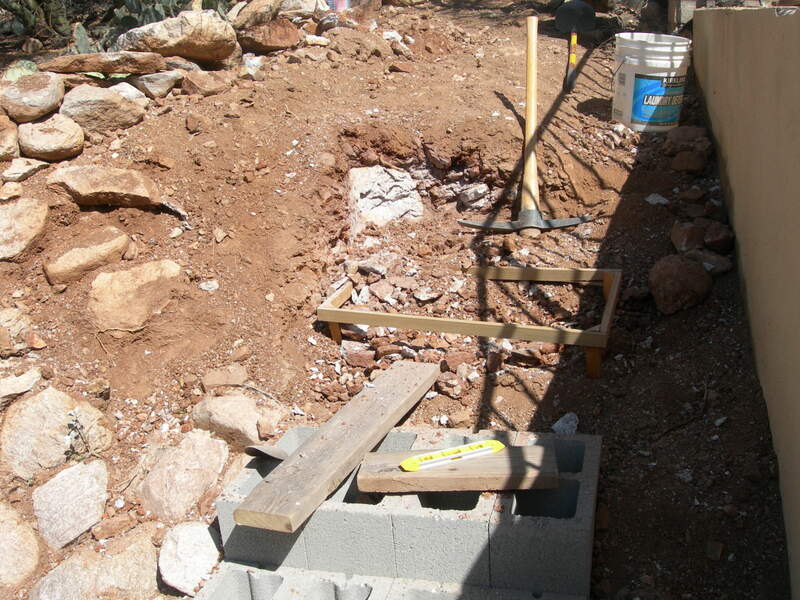 Look at the post entitled The Steps Get Finished to see how they turned out. 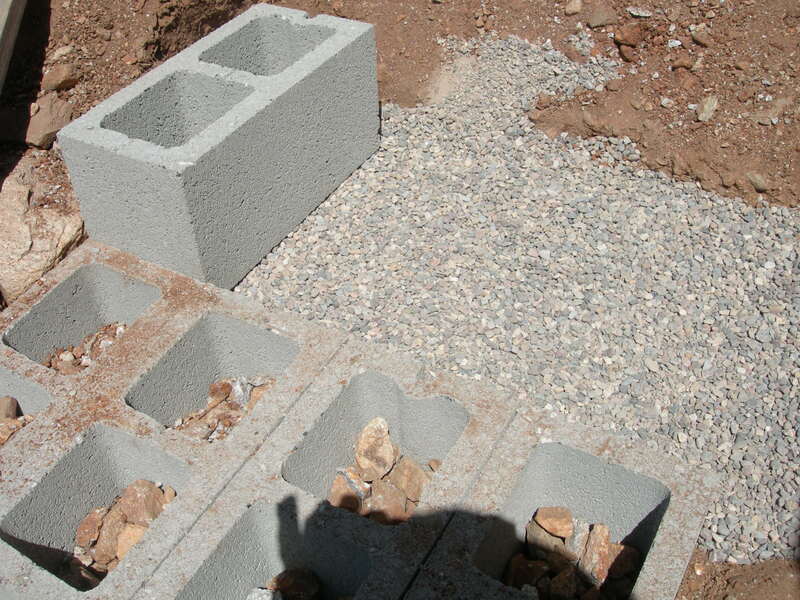 I did not put concrete in the steps, and like the look of the natural rock in the voids of the cinder blocks. The little rocks stay in place well. The steps are still there and quite stable. 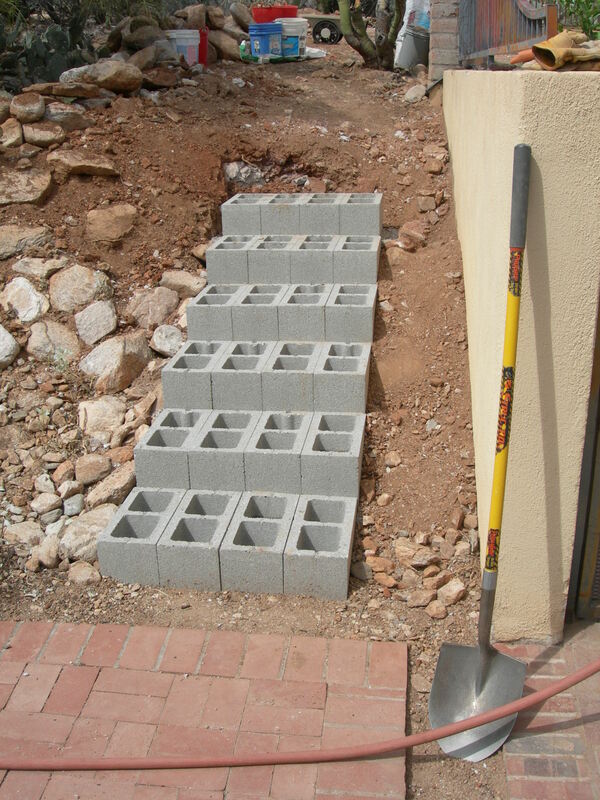 I would like to do what you did, but I was told that I should should dig straight back into the hill and put a 4’x10′ pad down and then stack the cinder blocks one high on the bottom of the hill and eight high on the back or top of the hill. 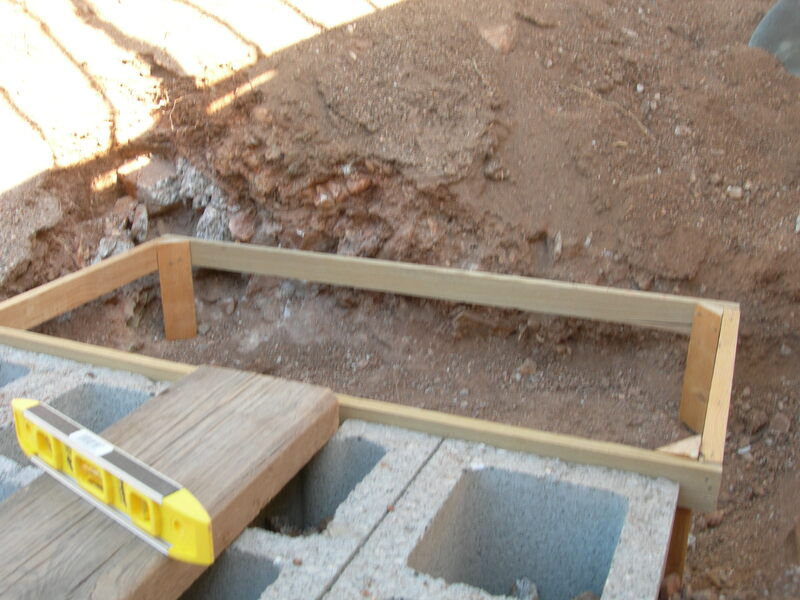 Now that I have dug the hole I am a little afraid that I should have just dug deep enough for one block on each step as you have done. Any advice? Thanks for the comment/question. It seems like it would be more stable to do as you suggest, but I am not a civil engineer. Over the years my steps have developed some gaps, but they still function quite well. The thing I was going after was a six-inch riser and a 16-inch tread. There are some patio steps here like that, and I like that they are not too steep. Also, the 6-inch rise for a 16-inch run matches the terrain I was working with. An 8-inch riser and a 16-inch tread would be steeper, but still could be OK. I would say find some steps like that to see if the steepness is OK. Consider the terrain. Is it as steep as the steps would be? Also, perhaps in your area the soil is not so dense, and having a pad underneath the steps might be the right thing to do. If you had a nice level pad, making the steps would involve simply stacking them up. 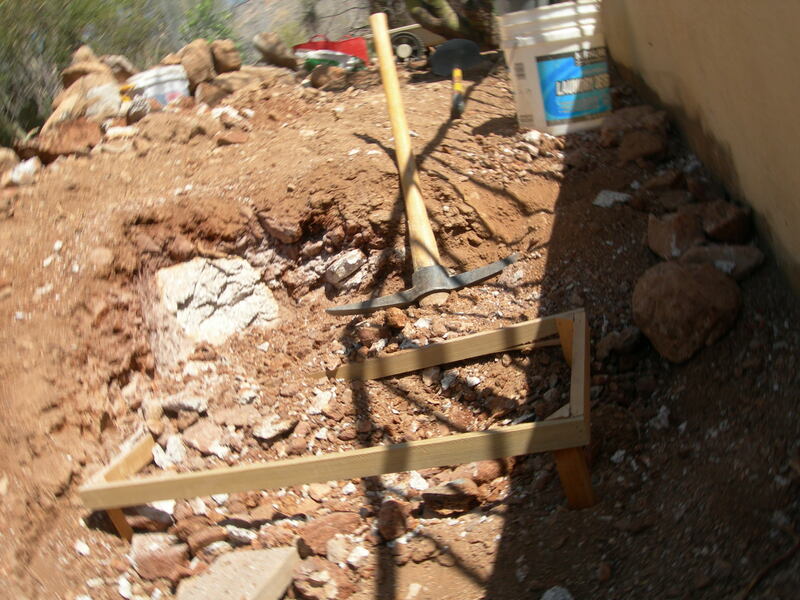 Here the soil is quite hard, and I figured (guessed) the steps wouldn’t settle too much in such hard soil. 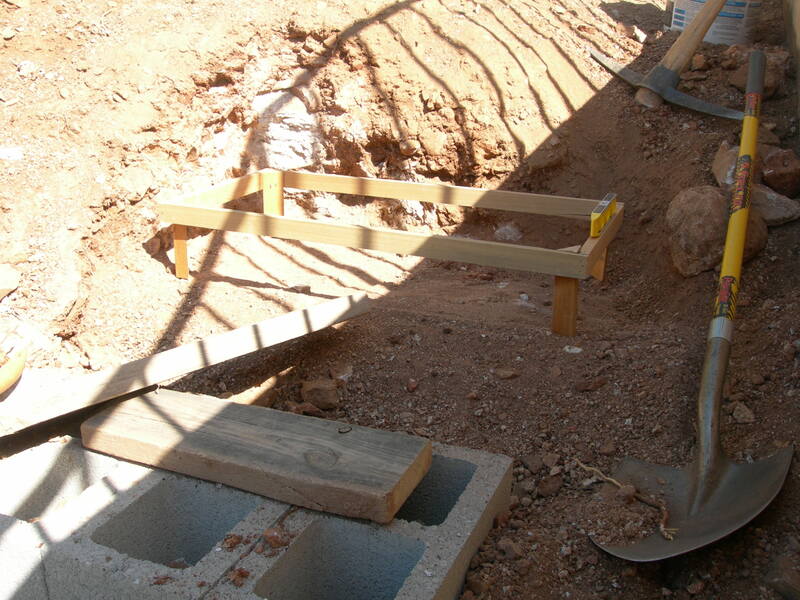 It was exacting work to make each step level and maintain the 6-inch rise. I am not an expert and can’t really advise like one. One thing I want to mention, you said a 4’x10′ pad. The blocks are a little shy of 16″, but even if they are 15.75″, eight of them would cover 10.5′. 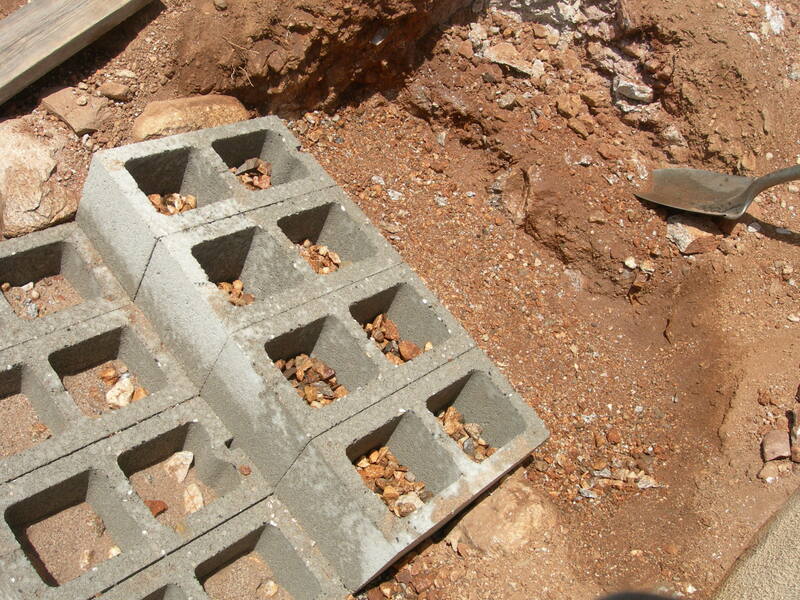 Are you planning on filling the block with rocks or concrete? One thing I realize after setting the steps is that they are really only held down by gravity and some friction between the blocks and surrounding earth and the contact between blocks. I might have done well to use concrete somehow, but it already was a lot of work. I think mixing a lot of concrete along with all the other work might have done me in!